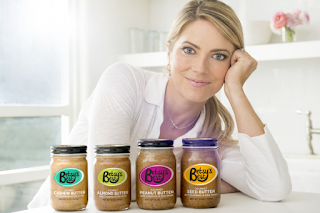 The kids and I love our nut butters. Mostly peanut and sunflower. But, I always feel like an awful mom giving it to them, because of all the chemicals, sugar and things i can't pronounce in them. Even if I buy organic, I always knew there must be a better one out there. 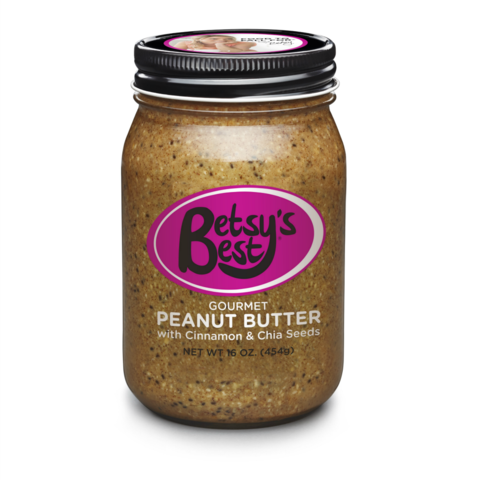 Recently I was offered the chance to sample Betsy's Best Gourmet Nut Butters, and the kids and I are in love with them! 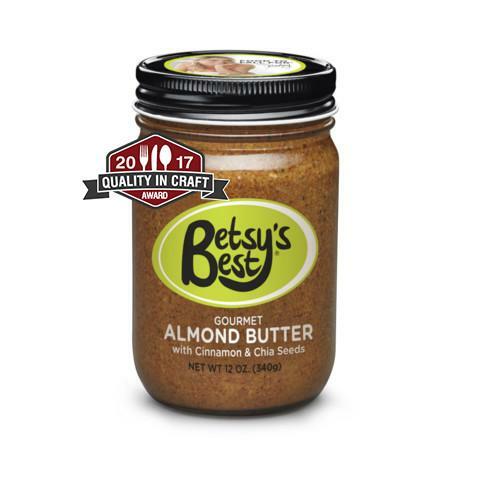 Betsy’s Best Gourmet Peanut Butter, Almond Butter, Cashew Butter, and Sunflower Seed Butter feature Chia seeds, cinnamon or cardamom, organic honey, Himalayan pink salt and other surprising, sophisticated and deliciously natural ingredients. Our sweet and salty spreads are perfect on whole grain crackers, fresh fruit and even by the spoonful. All Betsy’s Best products are non-GMO, all natural and gluten-free. Brand New in 2016! 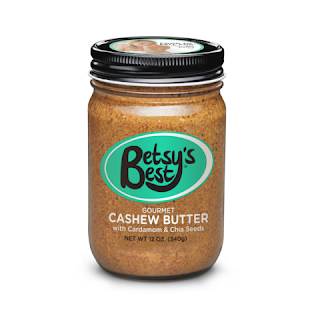 Betsy’s Best Gourmet Cashew Butter features a delicious blend of natural cashews with a pop of cardamom and a crunch of chia. 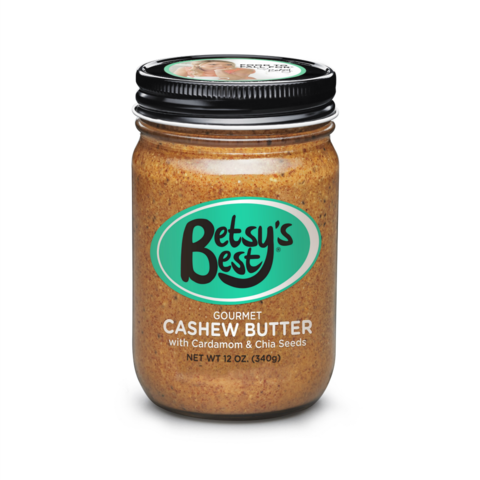 This cashew butter is a standout in both taste and texture. Great on a whole grain cracker, a stick of celery, or just licking it off a spoon! 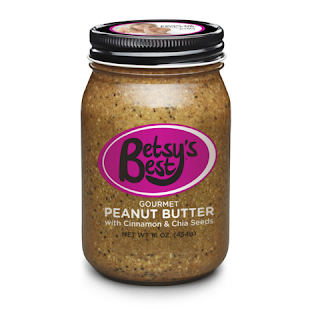 Peanut Butter goes gourmet with this sophisticated and tasty, sweet and salty healthy treat. Dollop it onto bananas, whole grain bread, or just eat it by the spoonful. Our truly unique Gourmet Sunflower Seed Butter features deliciously natural sunflower seeds mixed into a sweet and flavorful gourmet spread. Great on celery, your favorite whole grain cracker, or straight out of the jar! We tried the Peanut Butter, and it was so good! Can't wait to try the rest! 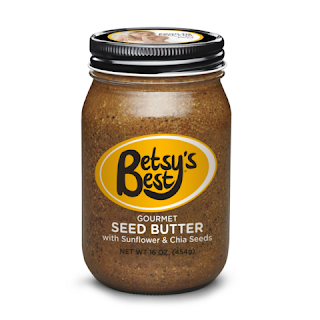 You can purchase Betsy's Best online or in stores like Whole Foods.